Are you suffering from Allergies? Post Nasal Drip? Nasal Congestion? Sneezing? Allergies are an exaggerated immune response to different substances in the environment. Allergies are very common and you are more likely to develop allergies if there is a family history of allergies. Allergies can impact your daily life at any age. You may not perform as well at work, or you may not be getting a good night’s sleep due to persistent allergy symptoms. 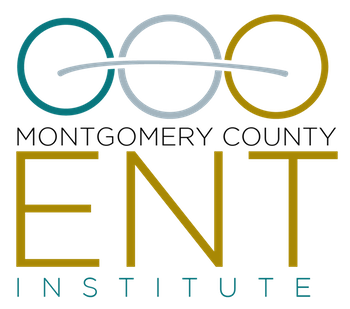 At Montgomery County ENT, we offer a variety of treatment modalities, including medications, allergy shots, sublingual allergy drops, and allergy tablets (Grastek, Ragwitek ,and Odactra). Allergy testing is usually necessary to determine if you are a candidate for these therapies, and we perform skin allergy testing in our office. Stop suffering and call for an appointment today! 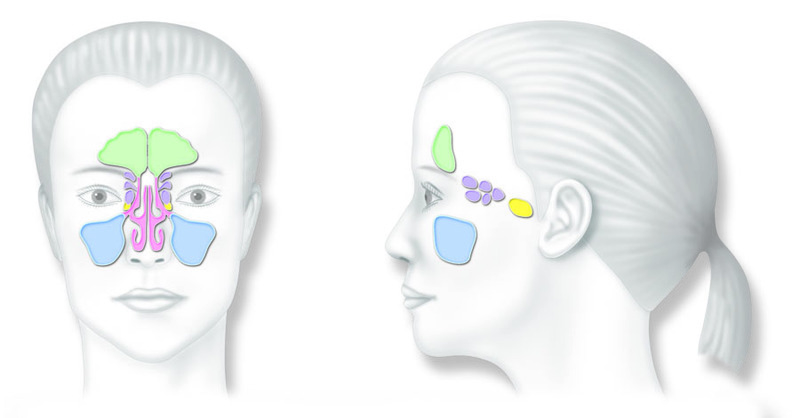 The colored areas show the various sinuses and their location. Do you suffer from Sinus Pressure or Pain? Frequent Sinus Infections? Headaches? Sinusitis may be classified as acute or chronic. Some common symptoms of a sinus infection include facial pressure over the sinuses, pain, discolored drainage, and nasal congestion. Antibiotics are usually prescribed to treat acute sinusitis. 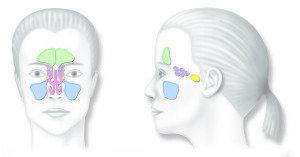 Chronic sinusitis is where there is persistent swelling of the sinus lining. A thorough history and a comprehensive ENT exam are necessary to make the diagnosis. We offer a variety of treatment options, including some minimally invasive, in-office procedures. The physicians at Montgomery County ENT are trained in balloon sinuplasty, nasal and sinus procedures. The practice also offers a non-surgical procedure for patients who suffer from repeat nasal polyps with SINUVA™ (mometasone furoate) Sinus Implant. SINUVA is proven to reduce polyps and nasal congestion and obstruction. Once examined, we will discuss your individual treatment plan. Balloon sinuplasty has been shown to be a relatively safe and effective way to improve the patient’s quality of life. In one study of over 1,000 patients treated with balloon sinuplasty, the revision rate was 1.3%. Sinus symptoms were improved in 95.2%, unchanged in 3.8%, and worse in 1.0% of patients. Postoperative sinus infections were significantly less frequent and less severe compared to infections before surgery.